Record Types have a lot of benefits but if not implemented correctly they can create unnecessary complexity for users and admins alike. In a nutshell, Record Types enable admins to display specific standard and custom fields; picklist values for end-users based on the type of record to be created. In addition, you can control Related Lists which should be displayed for each type of record. For example, if you have two types of Applications that your students apply for, a Masters program and/or an Undergraduate program and each Application has different data requirements, you may want to create two Record Types (Masters, Undergrad) – where you only show Essay Questions that apply to the Masters Application on the Masters Record Type. Once you create a Record Type you can assign it a Page Layout and display your desired fields. Then you can apply the page Layout to the Profiles of Users that will be accessing it. When does it make sense to create a Record Type? It makes sense to create Record Types when they can be easily differentiated by an end- user. 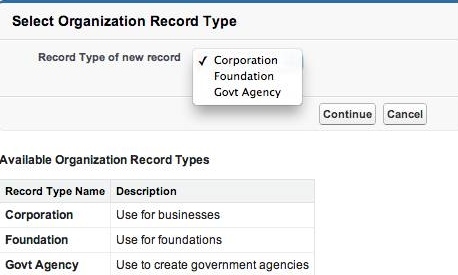 For instance, creating a Record Type on Accounts called Corporation that displays a field called Annual Revenue; and another Record Type called Foundation that displays Grant Potential are okay, since users can easily determine what Record Type to select when creating that Account. Create Record Types when you need to offer different Page Layouts, Buttons, Custom Links, Picklist values, Related Lists, and Processes (on Opportunities and Cases) based on different job functions. Example, if your Volunteers only need access to In-Kind Donations, while your Development staff can access Cash Donations and In-Kind Donations, you can create two record types on Donations (Opportunities) – In-Kind Donations and Cash Donations. You may assign only In-Kind to Volunteer Custom Profile while the Staff Custom Profile can have both Record Types assigned to it. You would also need to create separate page layouts for each Record Type. For Volunteers, they may further select In-Kind as their Default Record Type. Now when the Staff creates a Donation they will be offered a choice to either pick In-Kind Donation or Cash Donation, while Volunteers will not be offered the selection and be directed to an In-Kind Donation page. To take it a step further you can use Record Types and Page Layouts in combination to display different Page Layouts and Record Types to different sets of users (Profiles). Example, you can assign two separate page layouts to Corporations Record Type – one for Development staff and another for Volunteer staff if you don’t need to display Donation related fields to your Volunteer staff. Just remember that not having a field on Page Layout does not prevent it from being available in Reports. If the user creating the record does not have a clear understanding of what Record Type to select. This dilemma is most prevalent on Contacts. For example, if you have a Record Type called Board Members and another called Donors. What Record Type should a user select when they need to add a new Board Member who is also a Donor? While it can be rather straightforward to use Record Types on objects such as Accounts and Opportunities, you should really evaluate your needs thoroughly before creating Record Types on Contacts. I have seen many cases where the Record Type is used as a Type field; in other words, there was no need for a Record Type. For an end-user, this adds unnecessary steps/clicks that they could avoid. When you are only creating a Record Type to display different page layouts to different sets of users. This can easily be accomplished by creating different Page Layouts and assigning them to Profiles, there is no need to create a Record Type. Let’s look at an example – if a Recruitment staff does not need to see Donation related fields on the Contact, while the Development staff does, you can create separate Page Layouts and apply them to their respective Profiles. In fact, if you just need to hide certain fields from Recruitment users, you may not even need a separate page layout since you can use Field Level Security to hide certain fields on the Recruitment Profile. Just remember, when you build Record Types, that here too, Less is More! While Record Types can help streamline data entry, they should be used sparingly as they make administration more intensive. 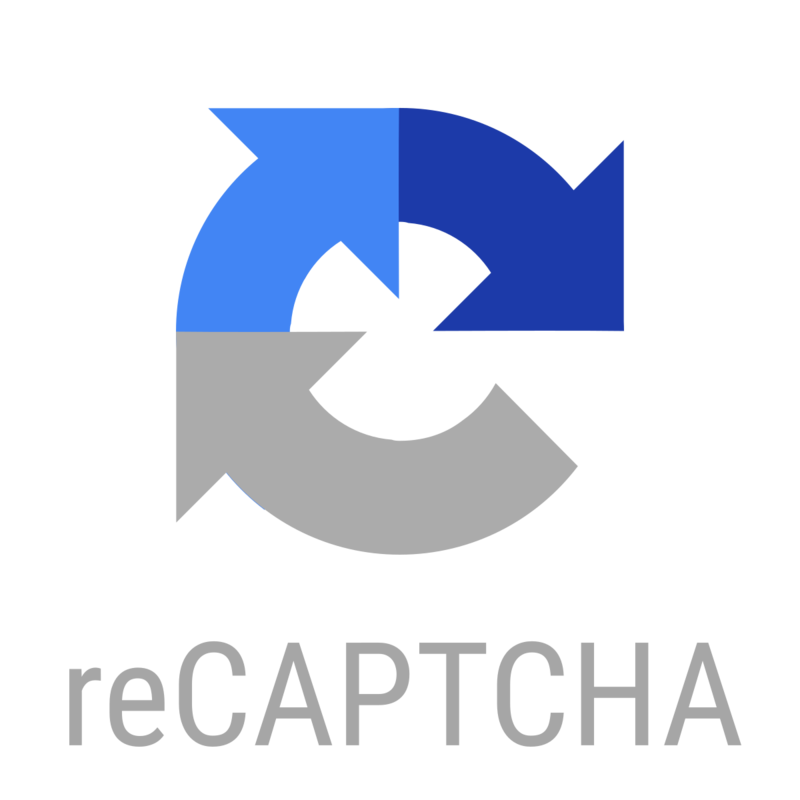 They can also create extra clicks for users who do not necessarily need them. How are you using Record Types?